City were looking to cap off a tough week of fixtures with nine points out of nine, and they got the job done before Chelsea could even think about settling. Sterling had them ahead just four minutes in, slamming home from eight yards at the far post after Bernardo Silva's cut-back had deflected into his path. 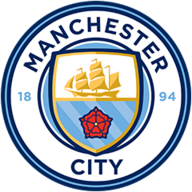 City made three changes from the side that won at Everton; Zinchenko, De Bruyne and Sterling came in, replacing Otamendi, Silva and Sane. Chelsea made two changes; Rudiger and Pedro came in for Christensen and Willian. 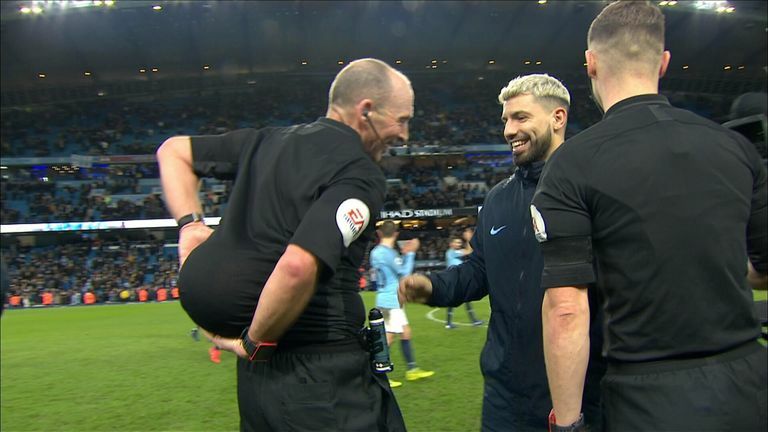 Aguero then became City's leading league scorer with 159 goals, capitalising on Barkley's poor header back to his own goal by turning into the bottom right corner from 10 yards. The game was essentially over on 25 minutes as Gundogan's crack from the edge of the box flew past Kepa after Chelsea had failed to clear their lines again. Sarri was exploding on the touchline, but Chelsea did force a couple of chances before the break; Ederson blocked Pedro at his feet, and the City goalkeeper then acrobatically kept out Gonzalo Higuain's fine 25-yard volley. City carried on after half-time like a steam train. 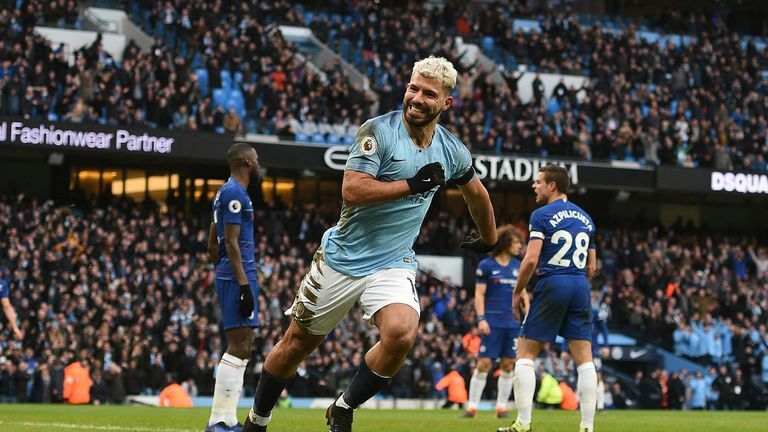 Aguero hit the bar with a close-range header, but he completed his second hat-trick in three games from the spot after Cesar Azpilicueta's rash challenge on Sterling. Aguero, who is now level at the top of the Premier League scoring charts with Mohamed Salah (17 goals) was brought off for Gabriel Jesus on 65 minutes, and his replacement went close to making it 6-0 as Kepa saved when one-on-one. 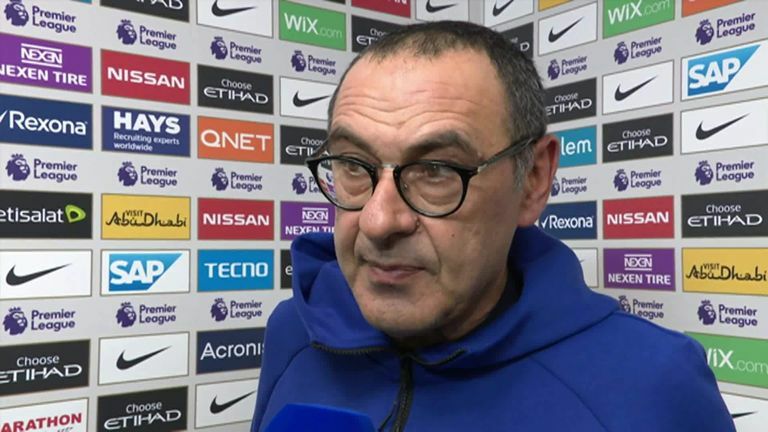 City's PA system played the Madness' 'One Step Beyond' at full-time, a favourite at Stamford Bridge after Chelsea wins, while Sarri claimed he didn't see Guardiola as he headed straight down the tunnel without shaking hands on a horrible afternoon for the Italian. 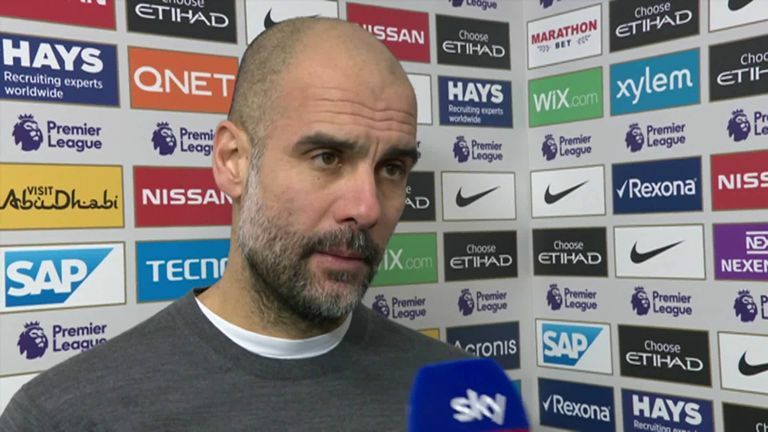 Pep Guardiola: "After Newcastle everybody was put in front of the mirror and we talked to each other and we accepted the reality and moved forward. "It's about being calm and then it's a lot of compliment to the players. Arsenal at home and Chelsea at home and Everton away is a tough, tough week and we did incredibly." To think this man was nearly out of the door when Guardiola first arrived is scary. His record against top-six sides is remarkable, and once again on Sunday he was City's main man. If he continues this form, he could be a strong contender for PFA Player of the Year. What more can you say about this man? "In terms of a goalscorer, he's the greatest we've seen in the Premier League. That's the difference between him and the other greats, he's a goalscorer rather than the greatest all-round player." 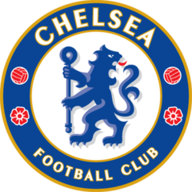 Manchester City are at Newport on Saturday at 5.30pm in the FA Cup fifth round, while Chelsea now go to Malmo in the Europa League round-of-32 first leg on Thursday night.